It’s 2013 and times and time itself appear to be accelerating. People everywhere, old and young alike are noticing that their experience of the world around them is becoming chaotic, faster and fractured. Their minds have lost a sense of focus for their life ahead, and as a result many people are making erratic decisions, feeling unsettled and wrung out. All of this acceleration of life intensity is due to a huge leap of evolvement occurring within this reality. The Divine within the planet and ourselves is awakening and arising to meet the universal life streams of consciousness bombarding us at ever increasing rates. 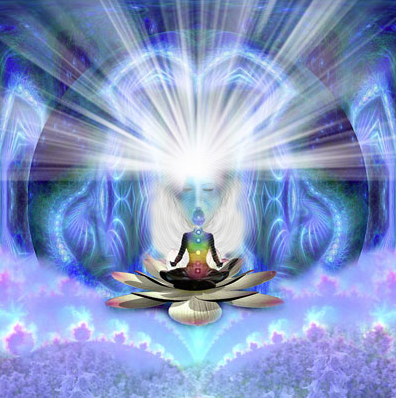 With this shift comes an urgent need for Clarity and Insight, as we all move towards Enlightenment (being filled with Light), resulting in God Consciousness. Our very nature is mutating and our children are changing. The pace is so quickened that society is not keeping up. Inspirationally, there are however, many people who are aligning themselves with this quickening of consciousness and embracing their Truth and allowing the Inner Spirit a pathway of clear communication into their conscious minds. This is the change we are becoming. This is our future, as long as we can maintain inner balance and harmony to allow this Divine Insight to come through. For others who have become overwhelmed by life, a pathway must be found. Since the planetary alignment in December 2012, I have never seen so many clients changing their lives overnight. They have told me stories of new adventures, holidays and studying that they are embarking on. Others have been suddenly quitting jobs that don’t refl ect their sense of truth and integrity. Wild love affairs or falling in love in the most bizarre yet exciting ways has also been another theme. Through all these stories I have been able to witness the emergence of their Authentic Self trying to desperately and fi nally begin running their lives. This is not always easy as they still have to navigate the power plays, conditioning, family expectations and social pressures that often overwhelm the ability to see clearly and continue to take affi rmative action. Spiritual practitioners are being sought out with greater demand for their knowledge, guidance, insight, encouragement and growth. This great universal power source is also creating a wave of power within the subconscious memories of everyone on the planet. Past life memories and suppressed memories from early childhood are being energetically dragged from the depths, pushing to the surface of the conscious mind and our everyday feelings. When this happens there will be those suffering great and overwhelming fractured states of mind. Without the tools and knowledge to deal with this, individual behaviour, choices and events will become more erratic and unstable. There will be those who will be able to maintain the higher energies and opening awareness, and sadly there will be those who will struggle and fall back into being ruled by the hidden unconscious impulses, driving unaware behaviour: asphyxiating the light, love, and joy that should be penetrating into their personalities and daily living experiences, thus resulting in great sufferance and suppression. It is time for all holistic health professionals, doctors, psychologists, hypnotherapists, church ministers and meditation practitioners to step forward to help these people navigate the next stage of human evolution, and recognise that humanity has a sickness of the soul that needs support. The disease we are suffering is our disconnection to our Divine Essence. All people need to be guided to go within to fi nd our Core Authentic Self, to heal the past emotional mental distress and fi nd courage to delve within the shadow side of memories to bring full awareness and balance back into our living equation. We need to choose as a planet, which Paradigm of Consciousness we wish to exist in. Will it be loss, despair, struggle and suffering, or clarity, awareness, love, hope, integrity, insight and wisdom? Change comes from within, one person at a time. Meditation is the greatest, simplest, most accessible tool we all have for developing inner calmness and clarity. Many people believe that to meditate is a diffi cult and convoluted path. Contrary to this belief, it does not require elaborate classes, great and intense visualisation, yogic postures or religious fervour. All you need is yourself and the breath. More pointedly, it requires your mind to watch the infl ow and outfl ow of your breath in a disciplined way, and to observe the sensations that arise within the nasal cavity as air moves through, or as the air infl ates and defl ates the abdomen. This observation of sensations gives the mind a focal point so that it is kept busy and entertained. If the mind becomes bored it will begin an onrush of daily thoughts, like a two-year-old on cordial. Do not let this distraction distress you. When you again realise you are sitting still for the purpose of meditation, just bring your awareness back to the infl ow and outfl ow of the breath. In time the mind will settle and calm. You cannot train a two-year-old overnight, just as you can’t train a lifetime habit overnight. It can take months, but each time you practise this, your fractured awareness will slowly calm and you will navigate life so much more easily. Ten minutes each day is a great beginning, then increase the time. Any start is a good start. The Universe Listened and Bought me Chickens!